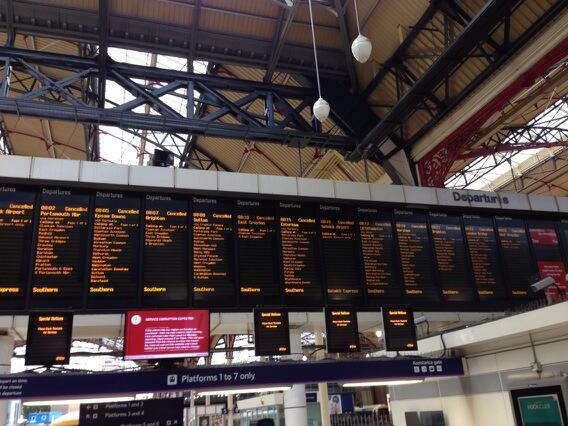 Travel across the south of England has been widely disrupted due to the "biggest storm since 1987." At least two people have died in the storm. A bus travels past fallen trees in Islington, north London, after the St. Jude storm swept through southern parts of Britain October 28, 2013. Updated - Oct. 28, 11:15 a.m., G.M.T. Despite predictions the St. Jude storm wouldn't be nearly as bad as the media were saying, the storm has turned out to be quite destructive. 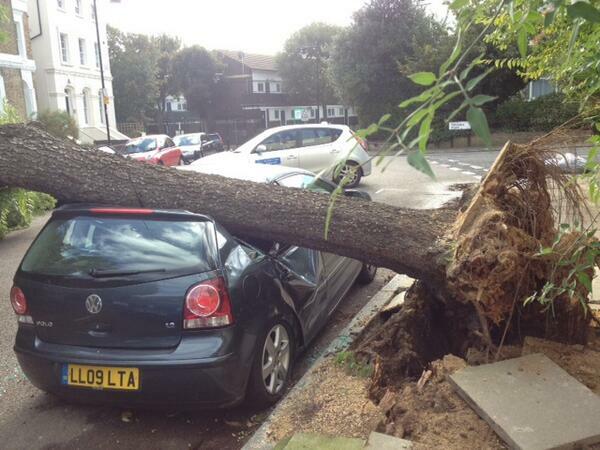 Monday morning's commute across the south of England was majorly disrupted due to the severity of the storm. 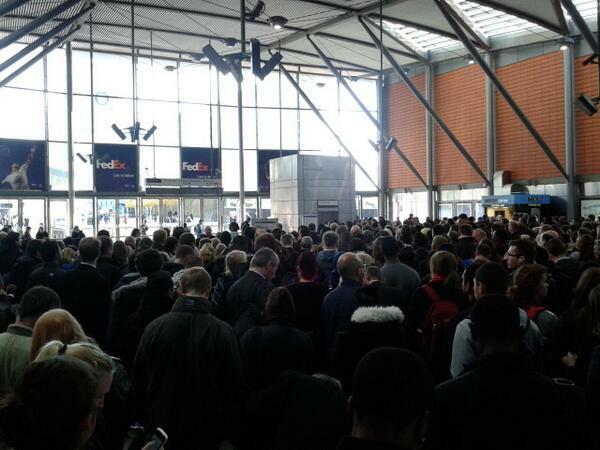 Most rail networks in the area, including South-West Trains and London Overground, have all said they won't start running services until it is safe to do so. 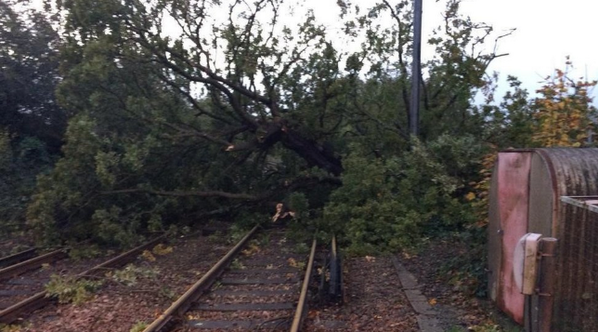 Even with the planned closures and limited services, Network Rail said the damage was "worse than expected" with more than 100 trees currently obstructing the rail lines. Heathrow Airport has cancelled up to 130 flights so far, and there are several road and bridge closers across Wales. Winds of up to 99mph have been recorded at Needles on the Isle of Wight, and over 220,00 households are reported to be without power, according to Tim Fields from UK Energy Networks. Operators at EDF energy have also reported that there have been nuclear power outages at the Dungeness B21 and B22 units. There are 13 flood warnings throughout the south west and south east of England, as well as 152 flood alerts across England and Wales. 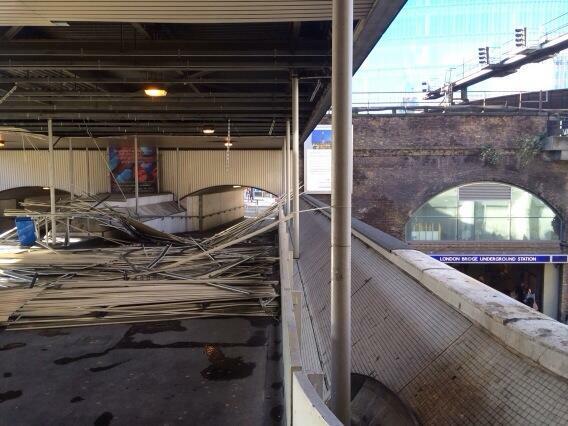 It's also been reported that at least two people have died in the storm. A teenage girl in Kent has reportedly died after the static home she was sleeping in was hit by a tree, and a man in Watford died after a tree fell on his car. Three houses in Hounslow have collapsed and two others have been damaged after a fallen tree has caused a suspected gas explosion. In the absence of @Se_Railway trains all SE London is at North Greenwich. If you haven&#39;t left home I wouldn&#39;t bother! In the absence of @Se_Railway trains all SE London is at North Greenwich. If you haven't left home I wouldn't bother!